1980's Vintage Annie's Attic Crochet Patterns Violet bedroom toppers 8B019. 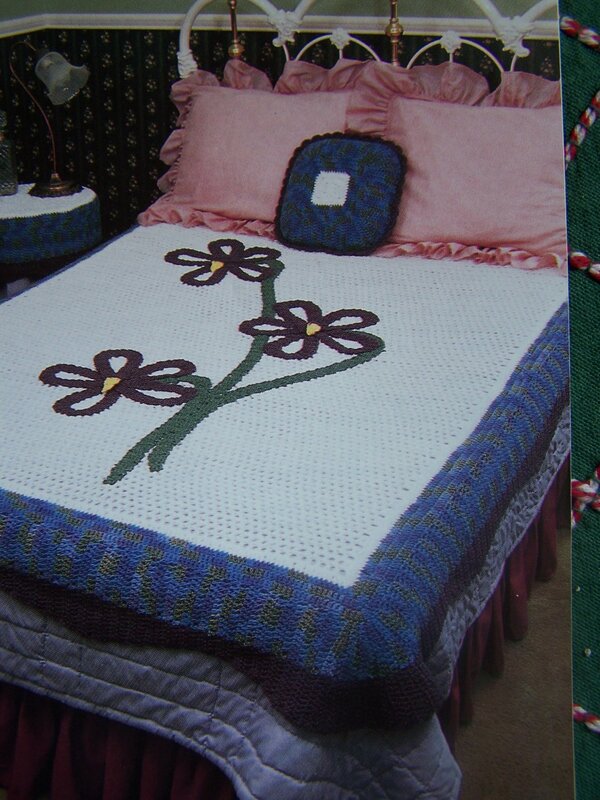 Pattern booklet contains: Violet afghan bed topper, round table topper, violet square pillow. All require worsted weight yarn. More new, vintage Annie's Attic patterns listed for sewing, knitting and crocheting. Inventory Env - 3. Measurements: Afghan - 69.5 x 80". Pillow 16" sq. Table topper Fits 18" diameter table.